KEERS Technologies is a key supplier to the Electronics manufacturing SMT, Inspection and Test market. With more than 20 years experience in the Test and Measurement and ATE market offering a portfolio of quality SMT Equipment, A-brand refurbished Manufacturing Test and Inspection equipment, In-Circuit test fixtures, Service and Support. Mirtec offers a complete portfolio of AOI systems. Ranging from Table-top to full in-line 3D AOI. With camera options from 5MP to 15MP Mirtec offers uncomprimised performance. The Scienscope product-line of Video Measurement Systems offers a complete portfolio of high-end non-contact measurment systems for smal delicate or complex components. 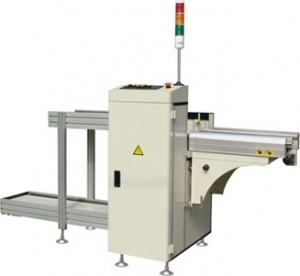 KEERS Technologies offers a full portfollio of board handling equipment. Developed and manufactured in Europe to the highest quality standards. KEERS Technologies offers used and refurbished SMT, ATE and Inspection systems. We buy, sell and rent equipment and offer full services on Agilent and Teradyne ATE systems.